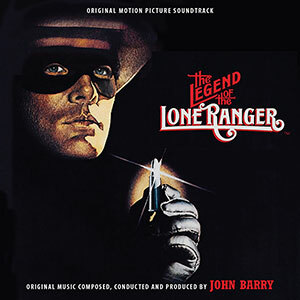 For this 1981 ITV retelling of the legend of the Lone Ranger, composer John Barry was brought in to provide the musical world of one of the most famous characters from the Old West. Having only scored two prior westerns (Monte Walsh and White Buffalo), Barry nonetheless loved all things American and embraced its 19th-century history and expansion into the west, as is evidenced by this spirited score. 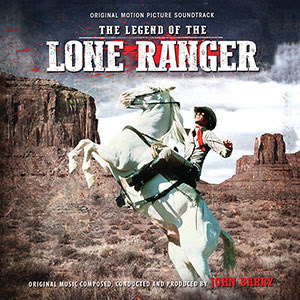 His main theme (turned into the vocal "The Man in The Mask" sung by none other than Merle Haggard) served as the heroic statement for the Lone Ranger. To top it off, Barry invited Paul Jones to play harmonica in the score, adding just that much more traditional western color. 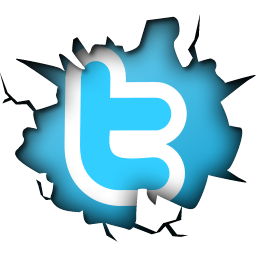 The result is a soaring, if not nostalgic, score. Intrada's release features the original program as released by MCA back at the time of the film's release. All attempts to recover the original and complete session masters met with disappointment, as no archive seemed to contain them. Not only that, but the original LP master was also missing. As such, nothing existed to support any further release of the score. However, with the help of modern technology and very clean and dynamic pressings of the original LP, Intrada was able to bring about CD quality reproduction of the LP program so you can enjoy another Barry gem rescued from oblivion. This version of the Lone Ranger would combine a revised origin story with high-stakes adventure. In 1854 Texas, young John Reid sees his parents murdered and is adopted by a Native American tribe, learning their ways and becoming fast friends with a boy named Tonto. Eventually retrieved by his older brother, a Texas Ranger, he is sent back east for education and, years later, returns to Texas to practice law. That career is cut short when he and a group of Rangers are ambushed by the Cavendish gang and left for dead. The grown-up Tonto discovers John Reid, barely alive, and nurses him back to health. Vowing to avenge the others, he dons a mask, finds a noble steed, and takes on Cavendish—whose plot to take over Texas involves kidnapping President Ulysses S. Grant.